Google has fired the brilliant diversity manifesto author James Damore for "perpetuating gender stereotypes." 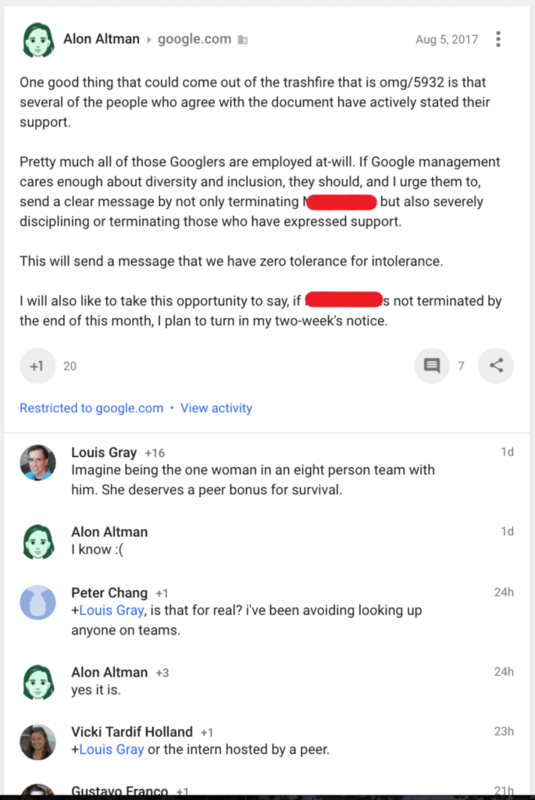 The Google employee behind a ten-page viewpoint diversity manifesto that went viral online has been fired. James Damore, whose manifesto criticizing the politically correct corporate culture at Google prompted outrage from left-wing employees and social justice warriors online, revealed that he had been fired in an email to Breitbart Tech on Monday evening. 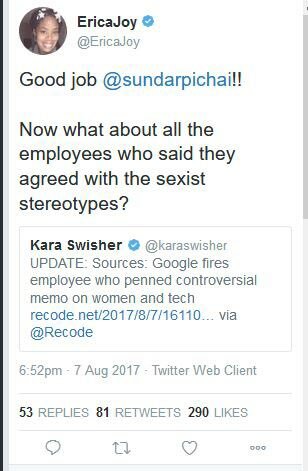 In his email to Breitbart Tech, Damore claimed, "They just fired me for 'perpetuating gender stereotypes.'" 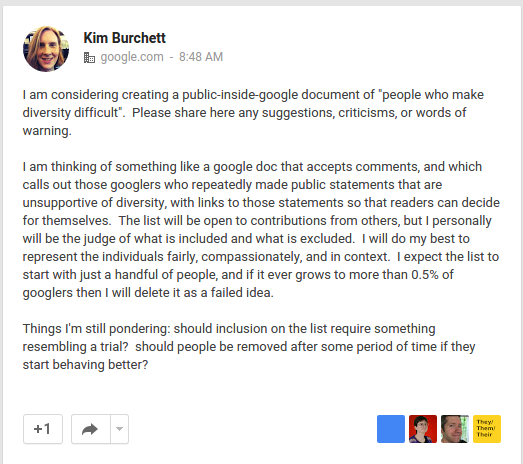 Damore's writing has revealed a divided Google, in which some employees agree with his outlook, but are afraid to speak out for fear of repercussions�from social justice warriors in the company, such as being added to blacklists. In a memo sent to employees, Google CEO Sundar Pichai reportedly claimed that Damore had violated their Code of Conduct. I guess Google needs to keep up the left-wing's ideological reign of terror. 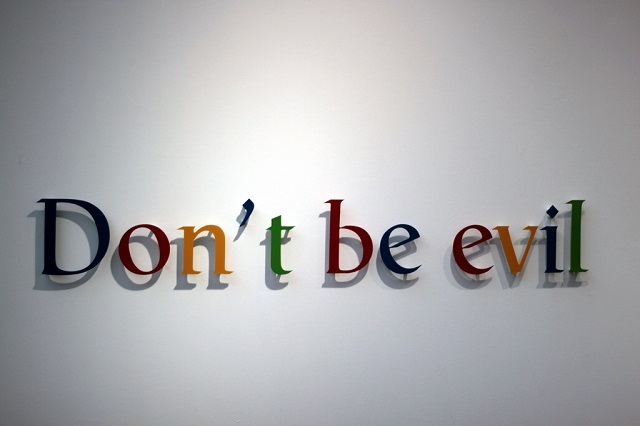 "[W]hen it comes to diversity and inclusion, Google�s left bias has created a politically correct monoculture that maintains its hold by shaming dissenters into silence. This silence removes any checks against encroaching extremist and authoritarian policies." 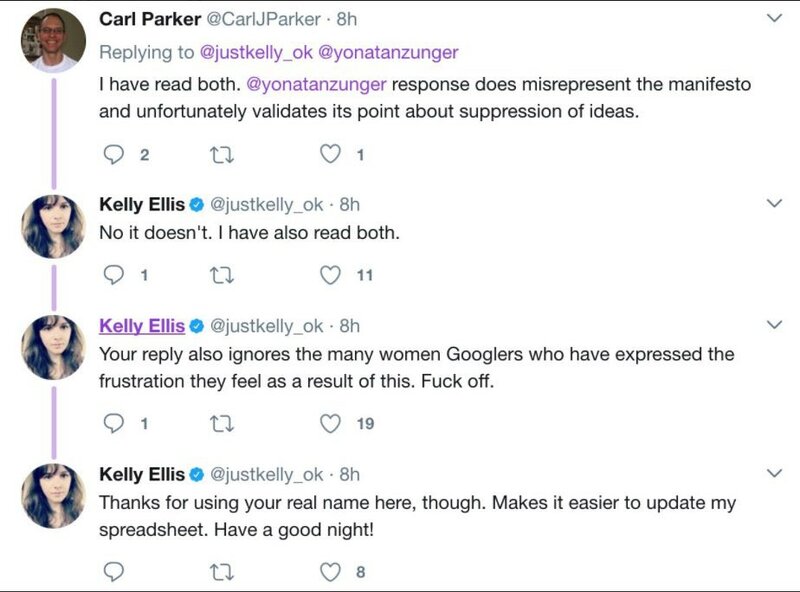 As I noted earlier, Google had no response to his thoroughly detailed arguments other than to proclaim diversity is an unqualified good, "'Nuff said." 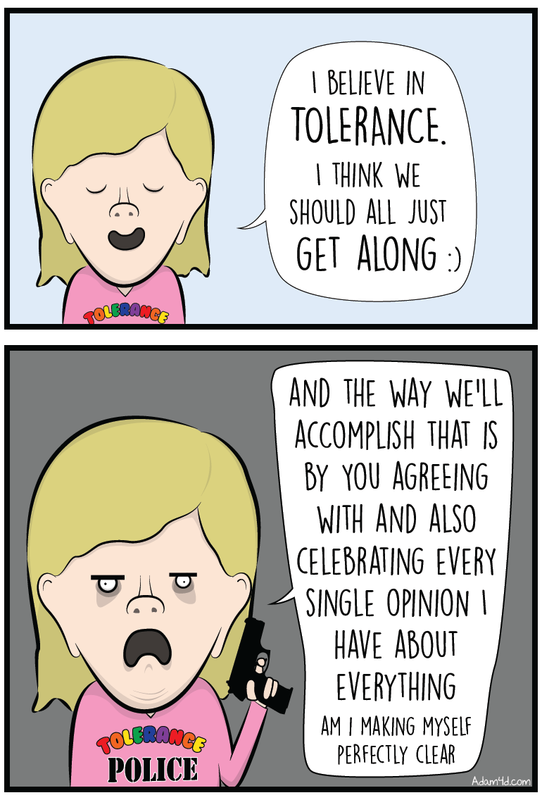 They're all for inclusion and diversity, unless it involves including different viewpoints which counter their bulls**t narratives. Google's New Motto: War is Peace! Freedom is Slavery! Diversity is Uniformity! 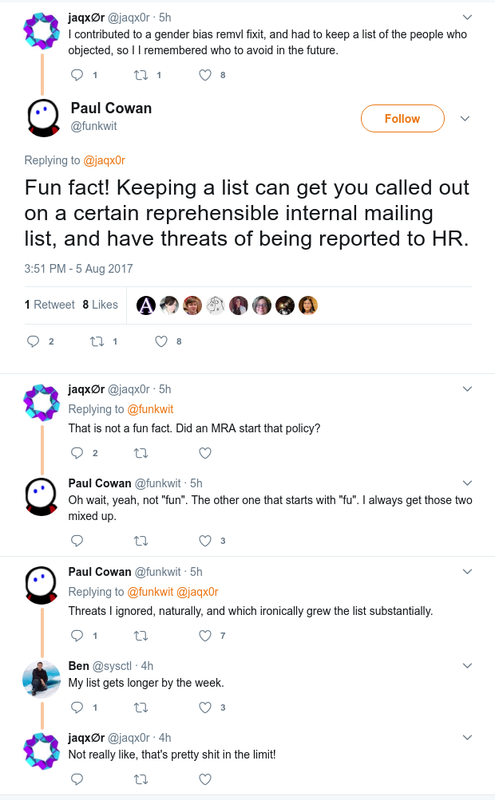 If you think what Damore wrote is so awful, why not just provide some actual evidence showing what he said was wrong? Oh, you don't have any? Damore told Reuters he is "exploring all possible legal remedies."